February 27 marks the 30th anniversary of a dark day in Milwaukee Brewers history. An explosion in the center of their spring training complex in Chandler, Arizona, injured nine people. It happened within the coaches’ room at the center of the complex. 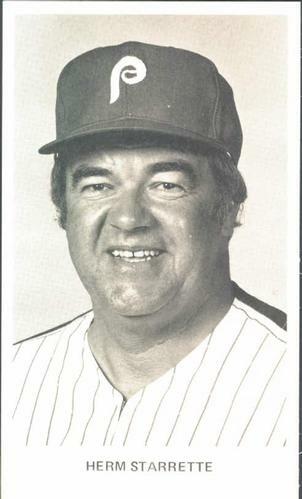 The worst injuries were to third base coach Tony Muser, pitching coach Herman Starrette, bullpen coach Larry Haney, and plumber Jeff Sutton. Muser and Sutton required helicopter transport to the Maricopa County burn unit. Muser received second and third degree burns over 50 percent of mainly the upper half of his body, while Sutton was burned mainly in his hands and face. Starrette had first and second degree burns on his hands and arms, and was taken to Chandler Community hospital for treatment. Muser was later transferred to a burn unit in California – and considered lucky to be alive. Also taken to the hospital with minor burn injuries were pitcher Bill Wegman, first base coach Andy Etchebarren, general manager Harry Dalton, and catcher Bill Schroeder. A construction worker was also treated for smoke inhalation. Some were injured while trying to get the flames to go out on Muser, Haney, Sutton, and Starette. It was an unlikely turn of events for a team that was so excited to begin work in a new spring home. As Schroeder said later, the only positive was camp was just beginning with pitchers, catchers, and coaches on hand. He shuddered to think of what might have happened with a full team in the facility. Dalton and Bamberger had offices next to each other, and the explosion was so forceful that the cinderblock wall separating them completely collapsed. “I was trying to get the fire out, and get people out of there as fast as I could because you never knew if there would be another explosion,” said Dalton. The Brewers public relations director, Tom Skibbosh, was nearby and hurried to the explosion. Muser and Starette were interviewed a year after the fateful blast, and offered their perspectives on what happened and the aftermath of dealing with not just the physical scars, but the emotional ones as well. An exercise program was put in place for Muser’s recovery, starting with walking using ankle weights, then bicycling. 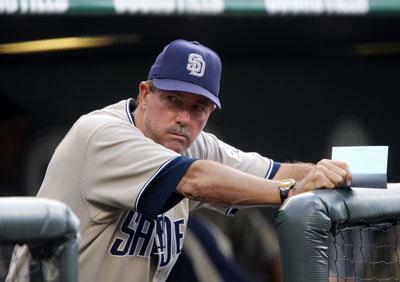 He was then cleared to drive a car, and returned to working with the Brewers on May 9. Muser said the worst physical pain he still experienced was the tightness and stiffness first thing in the morning. “It’s the toughest time for me because the skin has contracted a little bit,” Muser related. Both of the coaches stated they were cautious with fire and knew firsthand what it could do. Muser claimed he let his wife always light the gas grill at home. Starette said he would rather jump from a hundred story building than be burned to death. 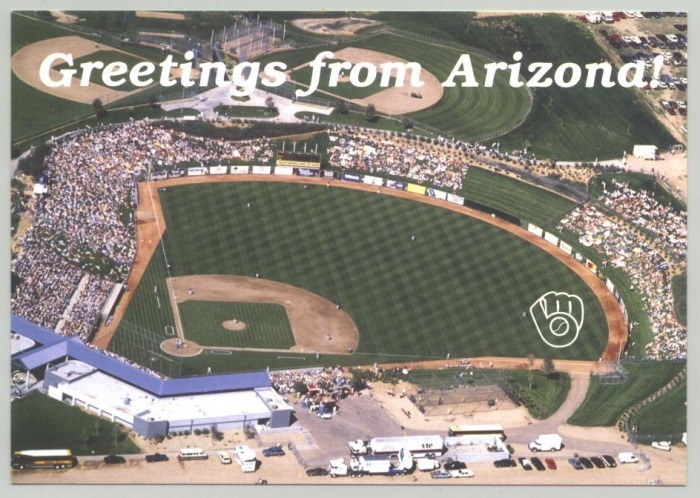 The Brewers kept Compadre Stadium as their spring home until 1997 when they moved to Maryvale Baseball Park in Phoenix. Maryvale had more fan seating and practice fields than Compadre, and the team has remained there through the present day. Maryvale hosts minor league training programs and plenty of local community leagues and special events. Compadre didn’t fare so well, and sat vacant for many years, falling into a state of disrepair. A local park called the Snedigar Recreation Center was created after the Brewers left – complete with animals grazing in the old outfield. Standard Pacific Homes purchased the property for $29 million in January, 2014, and in July received approval replace the stadium and training complex with a gated, residential community called Echelon. The proposal included plans for 181 single family homes and 137 townhouses. The 64 acre property would possibly be the last large development for the 8.5 square mile Ocotillo area. The stadium was demolished in late summer and construction began a short time later. As of this writing several realtors are promoting future home sales in the development with an expected opening later in the year. While Compadre is gone, memories of the tragic day remain.